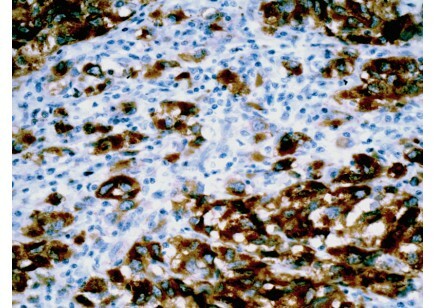 Melan-A, product of MART-1 gene, is a differentiation antigen which is expressed in 100% of melanocytes, most melanomas, and 50-60% of melanoma cell lines. It is one of the melanoma antigens recognized by autologous cytotoxic T cells, and as an antigenic target for tumor infiltrating lymphocytes. 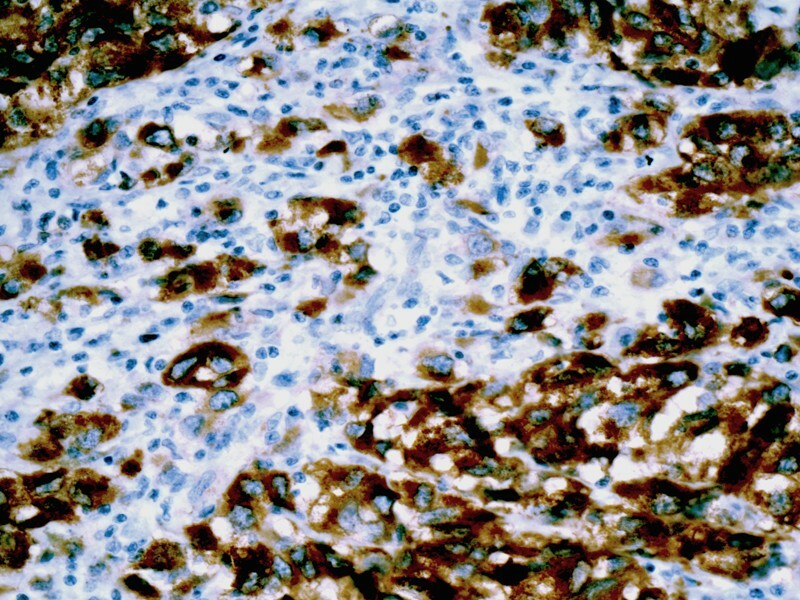 This antibody also stains Melan-A in normal melanocytes and in retina. It does not stain normal or tumor tissues from nonmelanocyte lineages.